This unique, yearlong, professional U.S. mindfulness teacher training combines transformational cultivation of your own mindfulness practice and systematic development of mindfulness teaching skills, enabling you to teach a variety of mindfulness programs with confidence and clarity. You will be part of a committed, focused group of like-minded individuals with whom you will receive skilled, guided direction and personalized instruction that will allow you to flourish as a mindfulness facilitator. Our yearlong teacher trainings utilize in-person teaching intensives, online learning, individualized guidance from the teachers and learning mentors and peer group support. The U.S. mindfulness teacher training is aimed at people already working with mindfulness in their professional lives, or anybody wishing to do so—be it through teaching formal mindfulness courses or bringing mindfulness into other roles including in private practice, healthcare, business, education, etc. Mark Coleman Founding co-director of the Mindfulness Training Institute Mark has devotedly studied mindfulness meditation practices for three decades. Mark holds a MA in Clinical Psychology and is a senior meditation teacher at Spirit Rock Meditation Center. Mark founded The Mindfulness Institute, where he has brought mindfulness trainings to Fortune 500 companies and the nonprofit sector. Through the Mindfulness Training Institute Mark leads Professional Mindfulness Teacher Trainings in the US and UK annually. Mark is a trainer for Search Inside Yourself Leadership Institute, developed at Google and leads their mindfulness and emotional intelligence leadership programs worldwide. 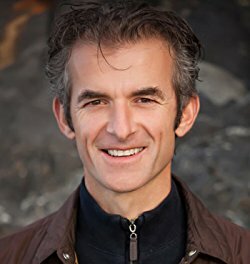 Mark is the author of Make Peace with Your Mind: How Mindfulness and Compassion Can Help Free You from the Inner Critic and Awake in the Wild: Mindfulness in Nature as a Path of Self-Discovery. Through his organization Awake in the Wild, Mark likes nothing more than sharing his passion for integrating meditation and nature.